You can promote your business quickly and easily with IIPC's professional 8.5" x 11" glossy posters, ready to hang in your window! "Permanent Cosmetic Make-Up. 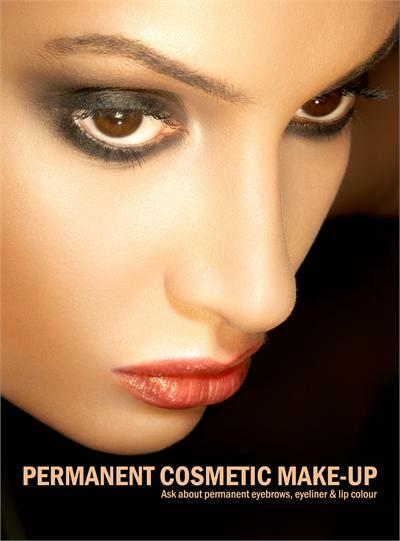 Ask about Permanent Eyebrows, Eyeliner, Lip Colour." We do not sell them in large sizes but can provide a high quality PDF file for larger format printing. We will also provide a copyright reproduction permission letter to your local printing company. All Books, Video’s (DVD’s), Marketing material, or educational material carries a no return policy. DVD: "Techniques in Eyebrow Hair Simulation"
Live practical instruction on the techniques of realistic eyebrow hair stimulation, performed by Permanent Cosmetics expert Susan Church. Approximately 35 minutes.